Although Instagram has a fanbase 10 times lower than that of Facebook, it's user engagement rates 60 times higher than Zuckerberg's platform. Based on the power of the photograph, Kevin Systrom app proves it's all about image. 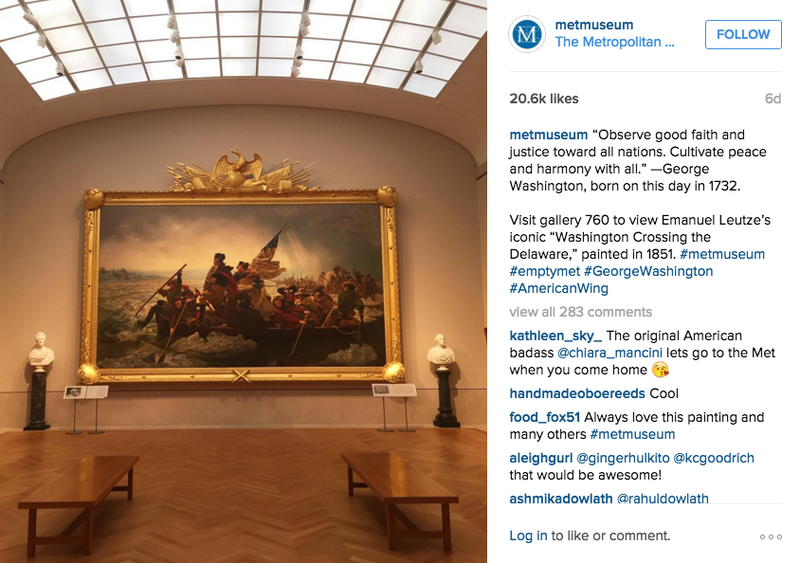 Our top picks are not necessarily based on the number of followers and the number of posts, but the originality of these museums' Instagrams. 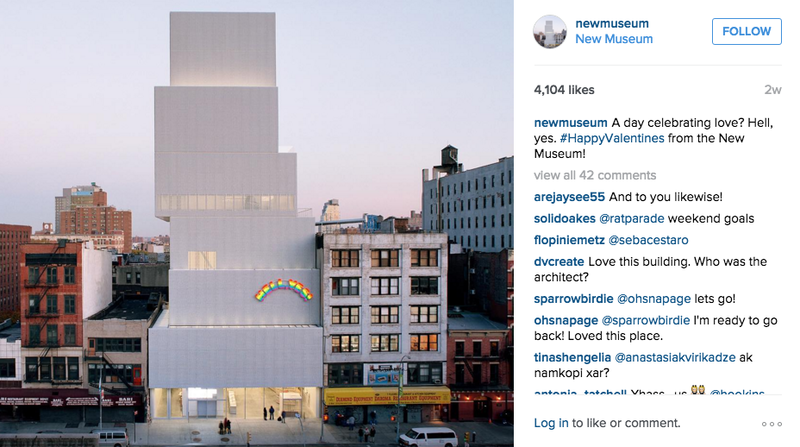 The MoMA is one of the most advanced in their digital communications. The museum houses one of the largest permanent collections of modern art. 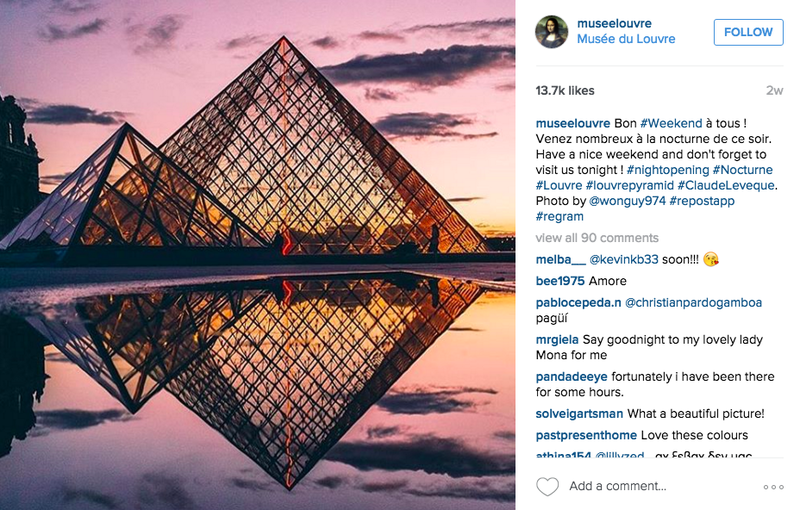 Home, of course, to The Mona Lisa, The Louvre Museum is the most influential French institution on Instagram, with 437 000 followers recorded at the end of February 2016. Even Beyonce and Jay Z have been spotted taking selfies in the Louvre. 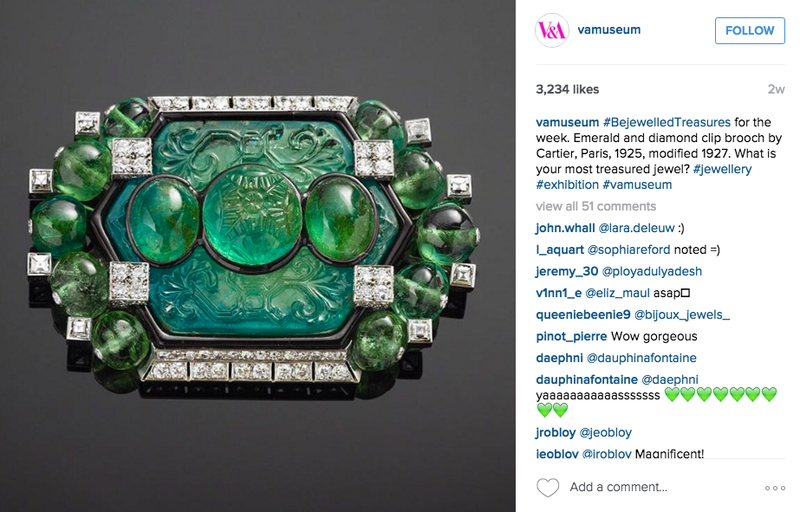 Ceramics, furniture, fashion, sculpture, textiles, paintings, jewellery, The V&A's Instagram has something for everyone. 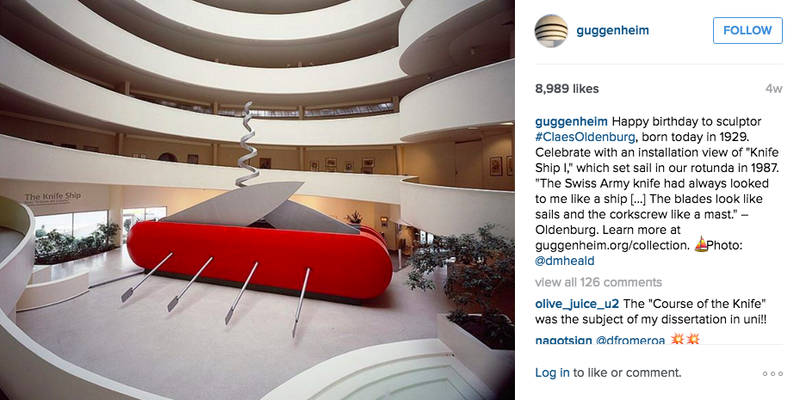 Let's not discuss their new logo, instead all hail the Met team for their Instagram. From stunning photographs to film, and of course, capturing the rich and fabulous at The Met Gala. 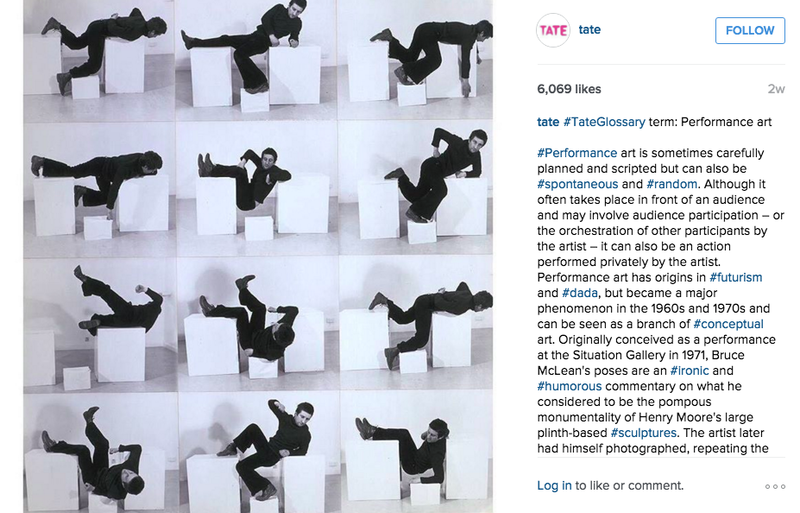 Tate Britain, Tate Modern, Tate Liverpool & the Tate St Ives all come together in this colourful account. 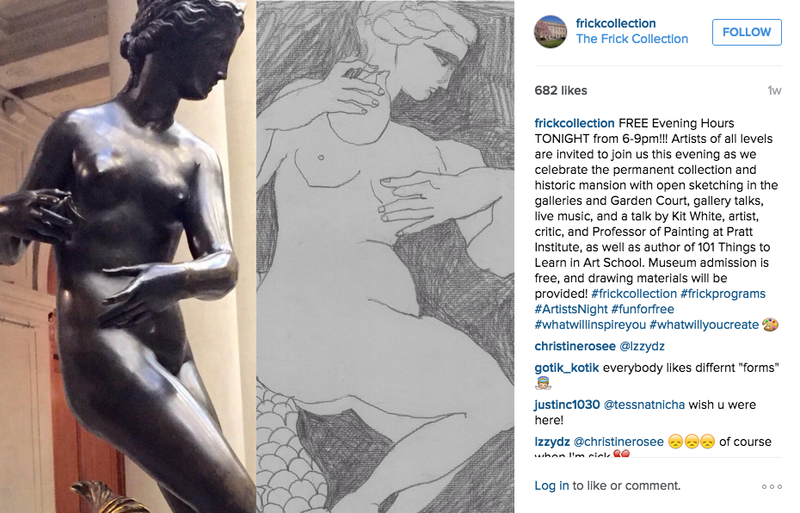 The Brooklyn Museum Instagram is as original as the museum, from yoga sessions to life-drawings, this account is more than paintings in frames. 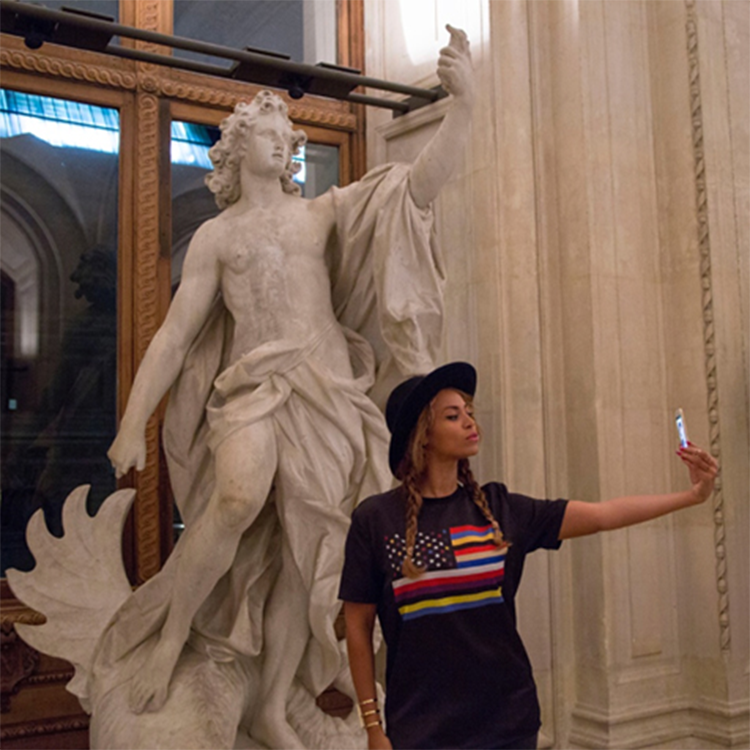 You thought you knew the Palace of Versailles? Think again. 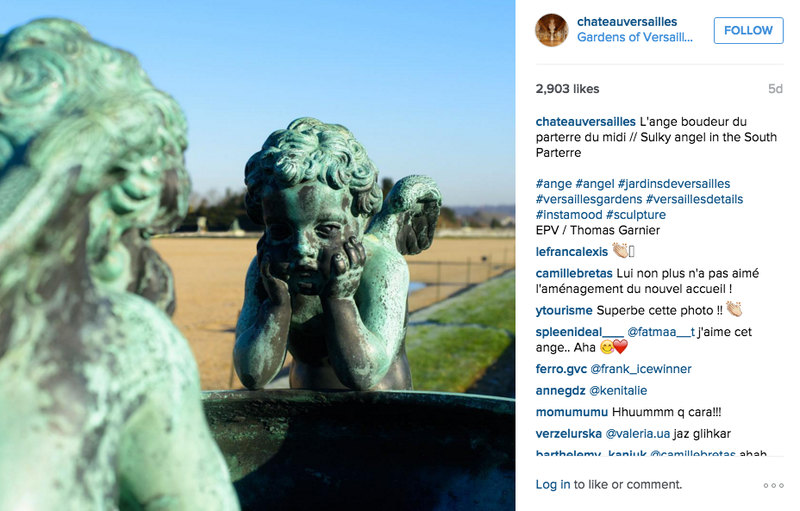 Their account breathes a new life into every angle of the Palace, with beautiful pictures highlighting the French gardens, sculptures, furniture and architecture. Another museum of modern art in New York, in addition to the wealth of the art collection, the architecture itself is Insta-worthy. The Frick Collection's account delves into one of the most important collections of Western fine art in the world. Frank Lloyd Wright's architectural masterpiece, which is home to a world-renowned collection of art, is a must for lovers of art and architecture.